We wrote this in LIV Magazine's September 2017 feature to provide HK Health and Wellness readers with more information about MOVEMENT. Please feel free to share, credit and tag @sharedspacehk. 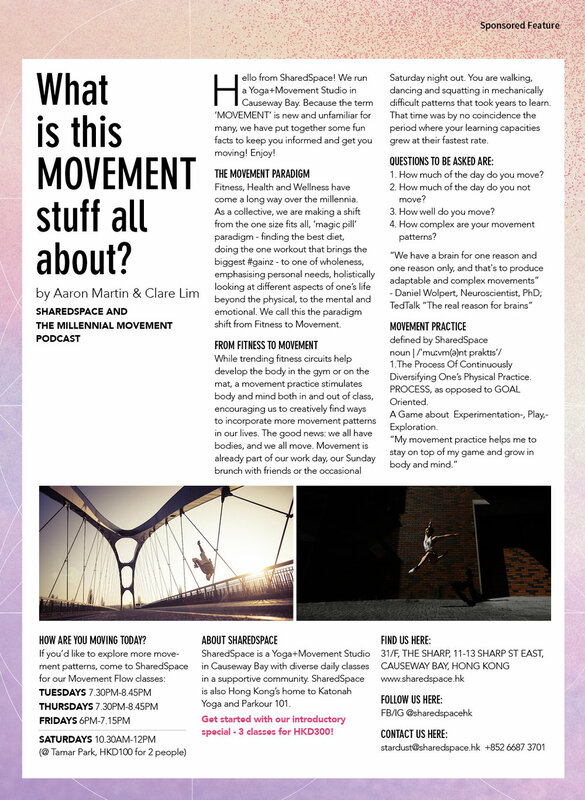 We love sharing about our movement concept and approach at SharedSpace! For press enquiries, write us here.